Motorola has been developing a phone in collaboration with Google Inc since a very long time and now they have given some information about the product that will be made by them together. According to one of the reports in a magazine, Motorola will just go for a size that is described by them as "just right" instead of going for a bigger screen size as others are doing. The first device from this collaborative effort is expected to be launched in latter half of 2013. 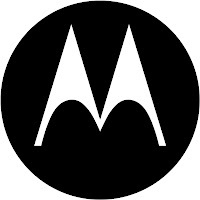 The device may run on stock Android and will lack Motorola's MotoBlur UI. 0 Respones to "Motorola's new devices will have a 'just right' display size"